Ho, ho, ho, and a bottle of rum! Ahoy there me mateys, it’s me again yer favorite app pirate! Although this bucko is known to be a fun-loving pirate, me also love things that stimulate the brain. Aye, when I was still going to school, this old salt was one of the brightest in the class. 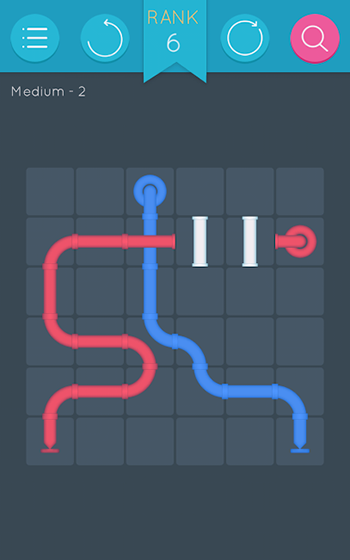 I remember me fondness of puzzle games that me still love until now. Our app for review today is a puzzle game called Puzzlerama from Leo De Sol Games. 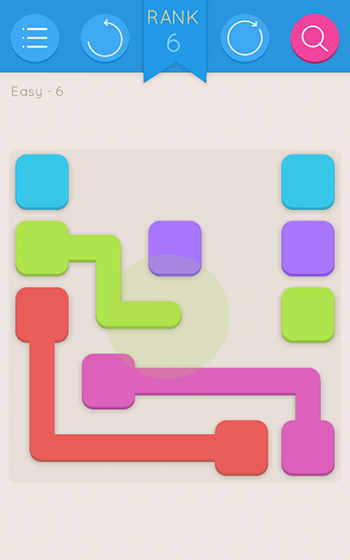 Puzzlerama is a combination of various puzzle games including but not limited to Bridges, Dots, Pipes, and Lines. If you are a puzzle lover, this is one of the ultimate apps that you may want to have on your device. It will save space since it will not take as much space compared to installing different puzzle games as you only need one. It’s also convenient as there’s no need to load or access various apps to play different puzzles because you can do this in one app. There are literally thousands of puzzles to solve. As of this writing, there are over 3 thousand puzzles and according to download page, the developers are continue adding more puzzles, which means almost endless gaming experience. In some puzzle games, you need lives to continue playing. What’s good about this app is that it doesn’t have lives so you can try solving the puzzles or play as much as you can. The puzzles are also not bad when it comes to graphics. The app may not have various designs or details, but it’s clean and it looks organized. This app is free to download and play. If you are into apps that don’t cost anything to play, this one would interest you. However, the downside is it has several advertisements. While it is a given fact that most free apps come with ads, there are games that play ads without affecting the game experience too much since ads are placed in a way that don’t distract the game. The ads on this app pop-up after almost every level so you have to wait for a few seconds before you can move on to the next level, which can be annoying in the long run. The game is a combination of various popular puzzle games, which makes it an ultimate puzzle app perfect for those who are into this game genre. It also saves space and it brings convenience as you don’t have to install several different puzzle apps. It’s also free to download. The only drawback with this app is that it has annoying advertisements that show up after almost every level. This can be annoying since you can’t close them and you have to wait for a few seconds before you can move forward with the game. Puzzlerama may have advertisements that pop-up after every level, but considering it’s free and it comes with several different types of puzzles and thousands of levels, it’s highly recommended that you give it a try.